Christmas trees are wonderful decorations in the household. Some families may keep theirs past Christmas. However though, dried trees can be a fire hazard and will eventually need to be taken care of. Follow these three steps to dispose a Christmas Tree properly. Check if your local trash collector can collect trees. This would be the easiest way to dispose the Christmas decoration. If this an option in your trash collection plan, just place the tree at the end of your driveway. Figure out if your area offers a service of turning the Christmas tree into mulch. Repurpose the Christmas tree into smaller decorations. Chop down the tree for firewood or build a yard decoration with it. Macomb County: The county does not offer the option of discarding Christmas trees. Residents will need to contact their communities for disposal information. Oakland County: The county offers numerous services to dispose Christmas trees. Click here to view services. Wayne County: The Department of Public Works collects Christmas trees during the first two weeks of January. 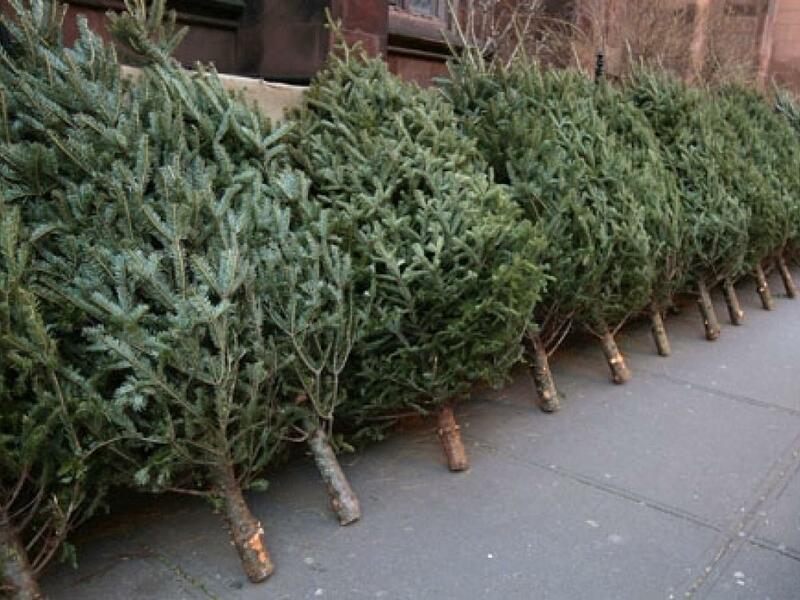 Civilians should check when their area is getting collected and place trees at their curbs.